¨ The EA Modelling tool’s hardware and software are installed and commissioned. ¨ Appropriate training is performed. 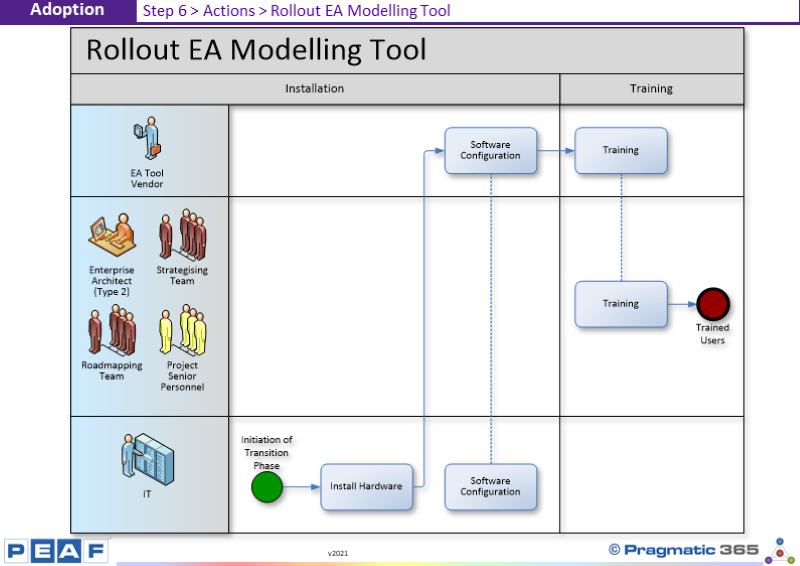 Does this process match your Enterprises process for Rolling Out the EA Modelling Tool?